Harry R. Jackson, Jr. is senior pastor of Hope Christian Church, a 3,000-member congregation in the nation’s Capital with his wife Vivian Michele. 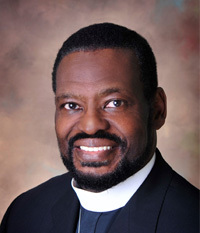 Bishop Jackson is also the Presiding Bishop of the International Communion of Evangelical Churches. This network of networks currently oversees 1000+ churches around the world. Having earned an MBA from Harvard, Bishop Jackson approaches ministry from a unique perspective. His writing is featured in periodicals such as Charisma, Christian Parenting, Kairos, New Man, Ministry Today, The Church Report, The Christian Post, and the Elijah List. His articles on Townhall.com and other websites are widely read. Bishop Jackson’s books to date include, In-laws, Outlaws and the Functional Family, The Warrior’s Heart, The Way of the Warrior, the Silver Medallion Award winning High Impact African-American Churches, Personal Faith Public Policy, and The Truth In Black and White. "Bishop Harris was inspirational, educational and helped us raise recording funds for our pro life organization. We recommend him to anyone that wants a true pro life message."